Current library trends and ongoing shifts are driven by numerous factors including macroeconomic environments, technological impacts, and institutional changes. Strategic needs are as varied as the many individual libraries and their circumstances, but the need is universal for thoughtful leadership in navigating change. While worldlows adapt to changing environments in the short term, long-term shifts require thoughtful leadership and long-range thinking. 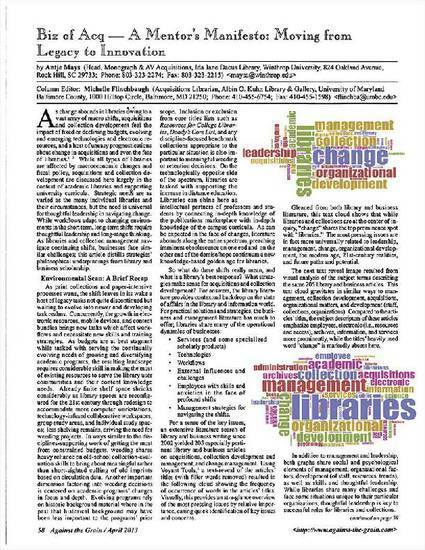 As libraries and collection management navigate continuing shifts, businesses face similar challenges; this article distills strategies' philosophical underpinnings from library and business scholarship.